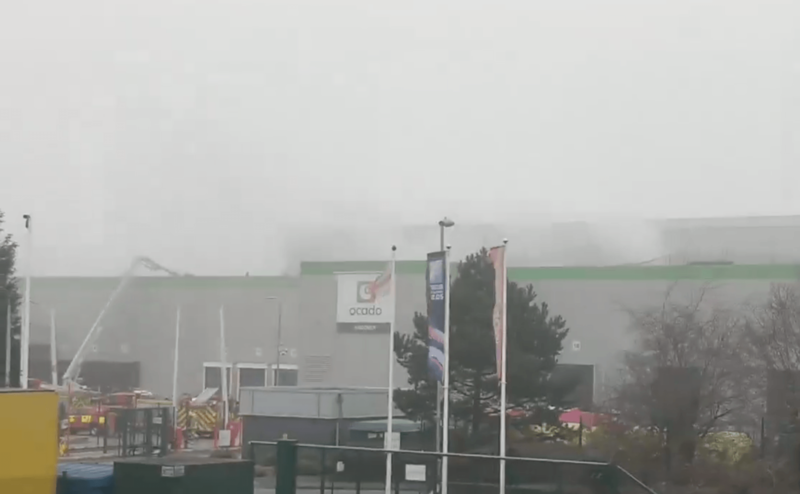 An eye-witness told Andover and Villages that the Ocado warehouse was on fire and saw multiple fire engines battling the blaze. There are currently more than 100 firefighters on scene fighting the blaze. Allan Carruthers, General Manager of the site said; Around 120-130 employees were evacuated, everyone is accounted for and is safe. An official statement from Ocado said: “A fire started in a section of the ambient grid of our Andover Customer Fulfilment Centre. “The Fire Brigade is on site. All relevant safety measures were carried out as planned and no one suffered injury. “The incident and the measures being taken to contain it appears to have affected a proportion of the mechanical handling equipment and some of the grid. 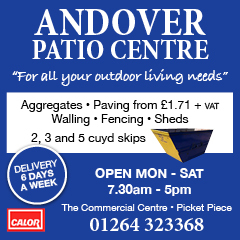 “Although some orders had already left the warehouse before the incident and will be delivered as normal, Andover suspended operation this morning preventing further fulfilment of orders. Michael Ford from KGF Cars had arrived with ‘plenty’ of food for fire crews and emergency services. Andover fire crews have joined forces to tackle the blaze from Whitchurch, Sutton Scotney and Basingstoke to tackle the blaze in the distribution warehouse.